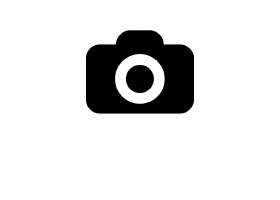 NIA’s meetings and events are designed to meet the needs of our members and provide valuable networking opportunities, educational programming, and the chance to be involved in industry issues and planning. 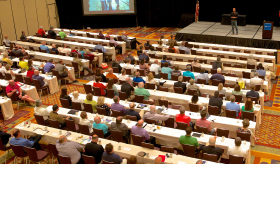 Our primary meetings take place at NIA’s Annual Convention and the Fall Summit. For more information on all of our meetings and educational programming, please email events@insulation.org. NIA’s Annual Convention is the premier event for the insulation industry and attracts attendees from all industry segments. 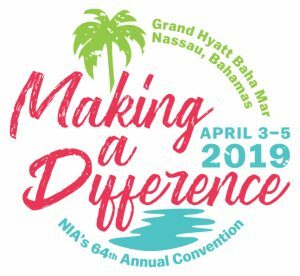 Held each spring, this event is open to both NIA members and non-members, and attendees at this event learn the latest industry trends, gain new business contacts, network, and build relationships. NIA’s Silent Auction is held biennially at this event. 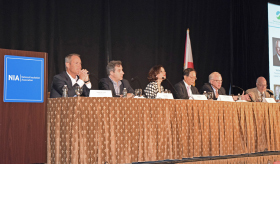 NIA’s Fall Summit is a members-only meeting and is designed to “Educate, Engage, Elevate.” This meeting allows attendees to focus on the business of the industry and discuss the latest industry issues from a peer-to-peer national perspective. 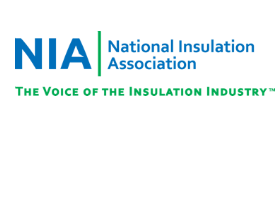 NIA’s new Thermal Insulation Inspector Certification™ program will educate and train insulation inspectors on how to evaluate installation work and determine whether it is compliant with mechanical insulation specifications. To become a Certified Thermal Insulation Inspector, class participants must complete both levels of the 4-day course and receive a passing grade on the final examination at the end of each level. NIA’s Insulation Energy Appraisal Program (IEAP) is a 2-day professional certification course that instructs students to determine the optimal insulation thickness and corresponding energy and dollar savings for a project.